I find the apartment complex to be clean and convenient to lots of stores. submitted by Shannon T. - Jul 27, 2017 |Recommended: YesI would tell them that while it is quite expensive to live at the Lodge, it has very nice amenities and the apartments are spacious and clean. What an awesome place to live and great employees to help you out.submitted by Jessica H. - Mar 23, 2017 |Recommended: YesI just wanted to say this is such a great place to live. I wanted to share with you on many occasions Kailea and Chelsea have help me over the 2 years I've lived here. They are both very professional. Both of them show a sincere interest in the solution of any problems you my have. They seem to take pride in their work and dedication to great customer service. I would also like to talk about another employee, Chris Best. Everytime he has came to my apartment he too fave great customer service. He made the job was done right the first time. He seems to be very dedicated to his tasks and his job. He also shows a sincere interest in fixing an problem or repairing any issue you may have. We will be sad to be moving later on this year. We will miss living in such a great area with great employees to take care of us. Thank you for all you have done for us. Maintenancesubmitted by Radha F. - Feb 28, 2017 |Recommended: YesThe staff at The Lodge at Southpoint are remarkable friendly, respectful, greets you with a friendly smile, and swift to respond to my maintenance requests. My maintenance issues, no matter how small, are addressed with professionalism and swiftly taken care of. I am very happy living in this quiet complex, yet so conveniently located within walking distance to a variety of shops, restaurants, and other businesses. Great Layoutsubmitted by Ashley M. - Feb 01, 2017 |Recommended: YesThe Apartments are beautiful. Very quiet neighborhood and great landscape and community features. Great staff and maintenancesubmitted by Joseph N. - Jul 17, 2016 |Recommended: YesI have lived here for about 4 months, so far my experience here has been great. The staff is polite, they make an effort to remember despite being a large complex. Noise levels are low, overall this is has been an amazing experience. response from property - Jul 22, 2016 We are so thrilled that your experience at The Lodge has been positive and enjoyable. We appreciate your kind words pertaining to our community, office staff and maintenance! We are very excited to have you here, and look forward to maximizing your quality of life as you continue to establish your home here at The Lodge. Please let us know what we can do to assist at any time! It is great and affordable.submitted by Zachary S. - Mar 07, 2016 |Recommended: YesThe staff are all very responsive. The community is great, and I really like the layout of the apartments. Wonderful Apartment Community Near Southpointsubmitted by Leigh B. 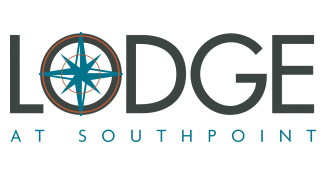 - Dec 16, 2014 |Recommended: YesAs a new resident to the Triangle area, I am very happy to call the Lodge at Southpoint my new home. The apartments and community spaces are beautiful and well-maintained, offering excellent amenities and conveniently located within walking distance of numerous shops and restaurants. Highly recommend this community to others! Great apartments, great location and great pricing. submitted by Lucy W. - Dec 01, 2014 |Recommended: YesEasy commute to downtown or any surrounding areas. Great nightlife in the area. Apartments are well maintained and well laid out. Nice community for grad studentssubmitted by Nathan S. - Dec 01, 2014 |Recommended: YesVery convenient location, good staff, reasonable accommodations and timely maintenance. I love it here! !submitted by Loretta F. - Mar 02, 2014 |Recommended: YesThe staff is nice, the apartments are up to date. The one thing they do not have is a bike rack!!! Why, tell me why!!!! Well run.submitted by Jon S. - Feb 02, 2014 |Recommended: YesComfortable and consistent.